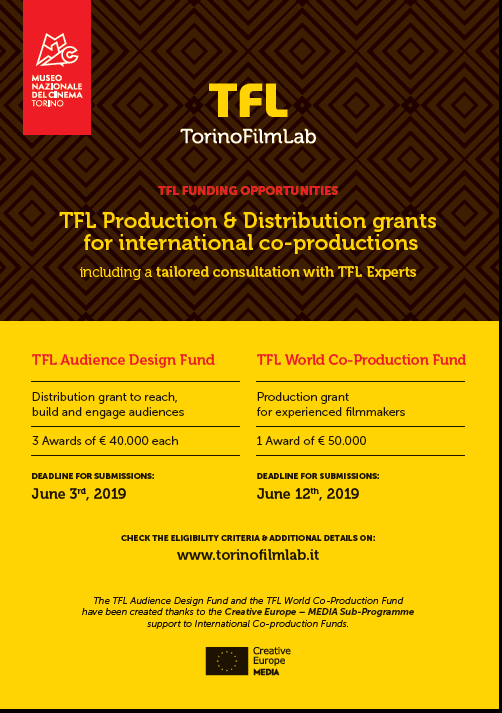 The TFL World Co-Production Fund consists of a € 50.000 grant to support co-production between European producers and international co-producers. The fund wants to encourage directors developing their 3rd feature film project onward and will be awarded to a production company based in one of the countries participating in the Creative Europe-MEDIA Sub-programme to support the making of the film, which must be completed by May 30th, 2021. The TFL Audience Design Fund includes a TFL Audience Design consultation with 2 TFL Alumni trained in the FeatureLab – audience design programme. The film team together with the experts will brainstorm to sketch out the key goals and points to address in the strategy outline. The consultants will present a 10-page Audience Design Strategy, which will highlight the actions to be prepared during the pre- to post-production and carried out up during the distribution, so as to later report the results to the Fund.